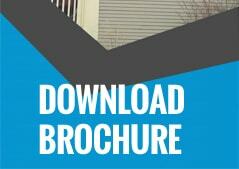 Are you seeking an installer to provide affordable window replacement? Oak Brook, IL homeowners have been turning to the experts at Best Windows for more than 15 years. As you choose your home’s replacement windows, you’ll have many models and styles to choose from. We often see clients who are confused about the difference between composite and combination window frames. Combination window frames refer to models that use a number of different materials for different components, such as the sash and window frame. So, for instance, you may see a window where the interior portion of frame is wood, while the exterior portion is vinyl, which is more durable and more likely to stand up to the elements. Using a combination of different materials allows for optimal performance and durability. Composite window frames are a bit different from combination window frames. While these windows are created using a blend of different materials, this blending process occurs as the frames are manufactured. So you may have multiple materials intertwined to improve durability, performance and insulation. There are also other types of window frames, including vinyl. Vinyl windows are very easy to maintain and they tend to provide robust insulation properties, thereby allowing for great energy efficiency. You may also consider fiberglass windows, which are durable and low maintenance. These frames are available with varying degrees of insulation. Some are hollow while other fiberglass window frames are filled with an insulation material. Aluminum window frames are lightweight and they often contain recycled metal. Thermal breaks or gaps are used in these frames to improve energy efficiency. Wood frames are favored among historic property owners, but wood can have limited durability. Therefore, many wood window frames are actually combination frames, which are outfitted with aluminum, vinyl or fiberglass components to improve lifespan and resistance to the elements. We serve the entire Chicago metro region, providing replacement window installation services, along with installation of siding, roofing, decks and patios. We can also help with your home remodeling project! Best Windows offers a low price guarantee and we’ll beat any competitor’s price by ten percent or more! You can also look forward to savings if you opt for Energy Star rated replacement windows, which may make you eligible for a tax benefit thanks to a federal energy incentive program. If you’d like to receive a no obligation, no stress and no pressure price quote, call the friendly experts here at Best Windows! We’re happy to discuss your project. 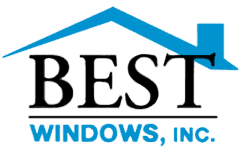 Call Best Windows at 708-204-2446. Visit https://bestwindows.net/ for more information about window replacement Oak Brook IL.